The cloud has opened up a new world of opportunity for businesses looking for a better and cost-effective way to communicate. 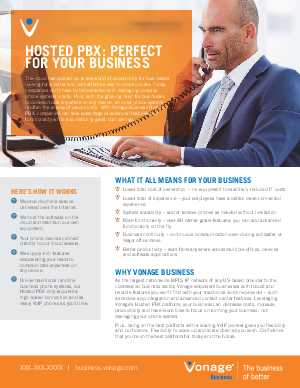 Today, companies don’t have to be burdened with managing complex phone systems onsite. Plus, with the growing need for businesses to communicate anywhere on any device, an older phone system is often the enemy of productivity.